Parrikar said that the state’s interests have not been compromised due to his letter to Karnataka BJP on the Mahadayi water dispute. PANAJI: Goa Chief Minister Manohar Parrikar today said that the state’s interests have not been compromised due to his letter to Karnataka BJP on the Mahadayi water dispute. "The letter is very much within the legal framework and there is no compromise on the interest of the state," Parrikar said while responding to a question. "Being in the field of politics, you are bound to take decisions but we will not decide on anything that would compromise the interest of the state," he added. 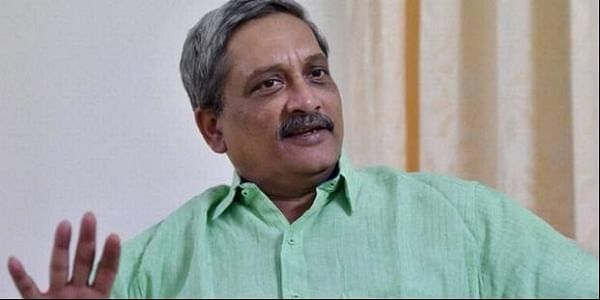 Parrikar said that his council of ministers has full confidence on him on the issue adding that the "state will not fall for any pressure on Mahadeyi issue." Taking a jibe at the Congress party. he said that he "does not trust those people who are currently governing Karnataka." Parrikar said that the Congress party in Goa had compromised on the issue of Mahadeyi water sharing before the year 2000. "I have the papers to prove it and I will do it on the floor of the House," he added. Goa and Karnataka have been locked in a dispute for over two decades over the diversion of Mahadeyi river water. Parrikar had written a letter to BJP’s Karnataka chief B S Yeddyurappa softening his stand on the issue after party president Amit Shah intervened in the matter.